Apple had already announced that its music streaming service will be available to Android users. 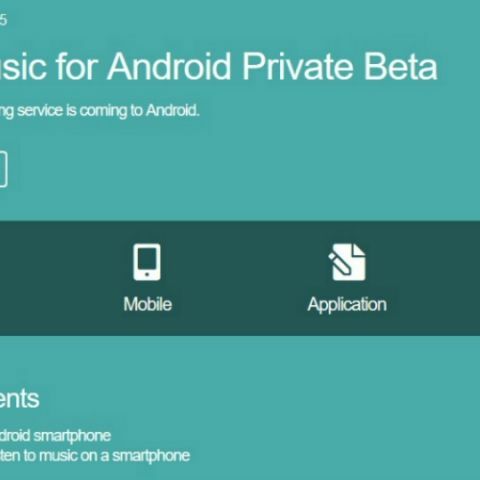 The company had been apparently seeking out beta-testers for Apple Music’s Android version. The beta invites were made available from a third party website, Betabound. Apple Music was launched in June across 100 countries. It is currently available for iPhone, iPad, iPod touch, Mac, Apple TV, and PC. It was announced that an Android version is also in the works and will be released later. It appears that the service will be launched for Android users soon. Apple seems to have contracted out the beta-testing for the Android app to a third party website that specialises in such things. Betabound members have been receiving mails, inviting them to apply for the beta-test. Although some have expressed their scepticism over the legitimacy of the program, Betabound users have come forward to dispel any doubts about it. The private beta for Apple Music for Android seems to have went live last Saturday and is exclusive to the site. The sheer variety of Android phones may be one of the reasons why Apple decided to hand over the beta-testing routine to a third party, instead of conducting it by itself. Another plausible reason is that, Apple wants to make a less controversial, and smoother launch than it was with Move to iOS. It turned out to be a rehashed version of an existing app drawing sharp criticism from an overwhelming majority of Android users. Apple’s decision to make its music streaming service cross-platform, surprised a few people. Apple has always kept its products within its own ecosystem. But, the move actually makes a lot of sense. In order to compete with Spotify and Google Play Music, Apple Music needs to reach out to the maximum number of people possible. It will be looking to steal a march over its rivals in markets where they are not present. For example, neither Spotify, nor Google Play Music is officially available in India, whereas, Apple Music is available since its launch. All the beta-testing positions have been filled up at the time of writing, so, it looks like you’ll just have to wait for Apple to launch the app to enjoy Apple Music on your Android smartphone.